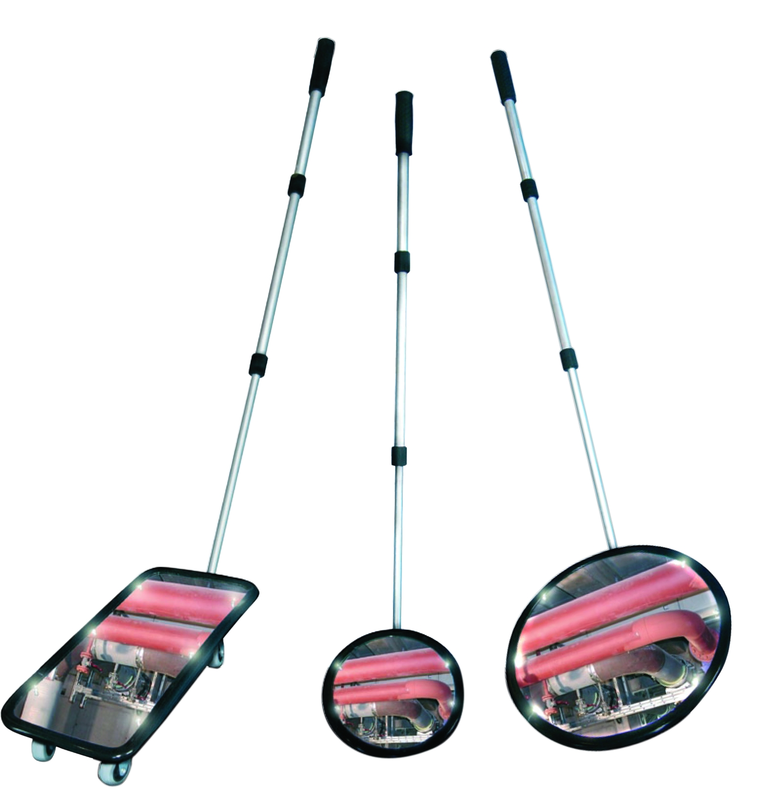 The TÜV-certified Dancop inspection mirrors are unique in their design on the market and allow safe control in security zones, entrance control areas and the use of mobile control stations. This is due to the robust product body and the use of high-quality raw materials. The variants can be assembled for transport by telescopic rod and are ready to use again in no time. The models can also be equipped with LEDs as needed. Here, Dancop sets on durable quality and installed on the mirror surface, so that the light brightens the environment and no glare is generated by the light beam. Dancop is the only manufacturer on the market that can offer TÜV certified products. Trust in our quality here, which the TÜV audits and certifies annually.